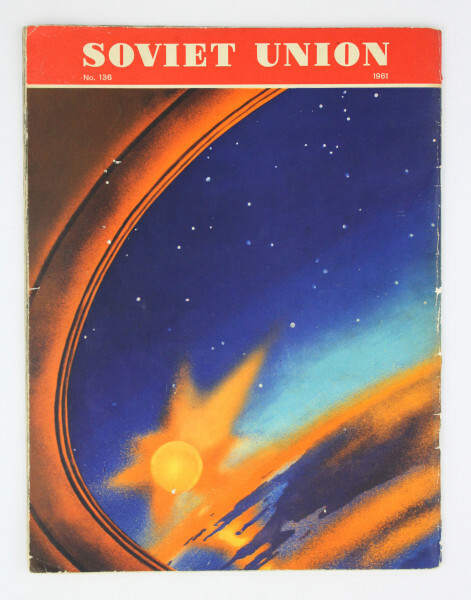 The magazine focuses on Yuri Gagarin and Soviet achievements in space. It features articles about Gagarin's family life, including photographs from his childhood. The magazine also documents the celebrations following Gagarin's successful return to Earth after becoming the first man in space on 12 April 1962. It includes quotes from various heads of state at the time congratulating the Soviet Union on there achievement. 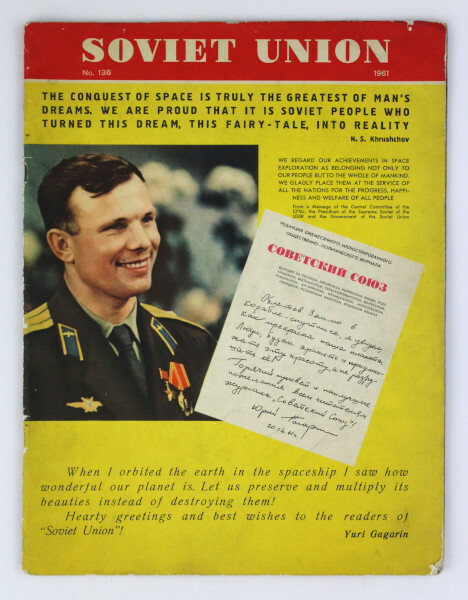 The front cover has a photograph of Yuri Gagarin along with quotes from him and Nikita Khrushchov. The back cover is an artwork called 'A Cosmic Landscape' drawn by A. Sokolov from a description by Yuri Gagarin. This image is based on the view Gagarin had of the Earth when the spaceship Vostok emerged from its shadow. The magazine was published monthly and contained articles about every aspect of life in the Soviet Union. This copy is in English but it was also published in Russian, Chinese, Korean, Hindi, Urdu, Arabic, Mongolian, Spanish, Finnish, Japanese and Romanian.